Siemers Insurance Agency LLC can help you find the right coverage for your collector or antique car for the right price. Collector cars and trucks have different insurance than regular auto insurance and at Siemers Insurance Agency LLC, we can provide those options for you. Classic cars are usually in the category of antique once the vehicle is 15-20 years old or older. Collector car insurance coverage can also include exotic autos, sports cars and rare automobiles. 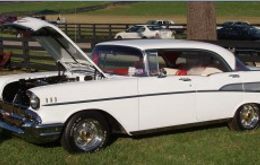 We can service your antique car insurance needs in Cincinnati Ohio including the Amelia, OH, Batavia, OH, Blue Ash, OH, Loveland, OH, and Milford, OH areas.